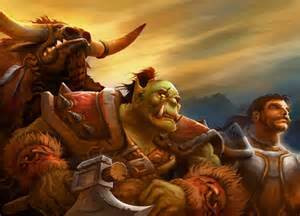 A group of 10 men in China have been sentenced for up to two years in prison for hacking and defrauding over 11,000 World of Warcraft accounts. According to games site Kotaku the group was led by two men, individuals named Chen and Zhu. Both were charged for flipping WoW accounts that they purchased for $1. After they acquired ownership for the accounts, they emptied all the items and gold before reselling everything for a minimum of $3, resulting in immense profits for the group. Nine of the men, including Zhu, were convicted and received two years in prison with fines of $1,000. Chen meanwhile received the same two years in prison with fine of $8,000. Chinese authorities also confiscated the computers used by the perpetrators and the obtained goods acquired by them. Hackers have been more and more prevalent in the gaming scene over the past several years, ever since the 2011 PSN debacle which saw Sony’s online infrastructure shut down for a month. Reports from cyber security firm Kaspersky Lab has revealed a huge spike in hacking attempts ever since the two new consoles have launched.